Many people groggily pour a cup of coffee in the morning to wake themselves up. But exactly how much caffeine should you consume — and when should you take it — to achieve “peak” alertness? A new algorithm aims to answer that question. The researchers found that, by using this algorithm, they could improve people’s performance on an attention task by up to 64 percent, even though people were consuming the same total amount of caffeine as they did before. (The algorithm may recommend, for example, a specific amount of caffeine at one time, and then a different amount later in the day.) The study also found that, by following the algorithm’s dosing schedule, people could reduce their caffeine consumption by up to 65 percent, and still achieve the same level of performance. “We developed algorithms that work together, and they essentially allow us to determine, at the individual level, when and how much the individual should take caffeine to achieve peak performance at the desired time, for the desired duration,” said study senior author Jaques Reifman, director of the DoD Biotechnology High Performance Computing Software Applications Institute at the U.S. Army Medical Research and Materiel Command in Fort Detrick, Maryland. For example, if you’re a student who has been sleep-deprived for the last week while cramming for an upcoming exam, the algorithm aims to tell you when to take caffeine “so you are as alert as possible during the exam,” Reifman told Live Science. The researchers have already used their technology to develop a web-based tool and a smartphone app, called 2B‐Alert, which can predict a person’s alertness based on their sleep time and caffeine consumption. The web tool provides a result for the “average Joe,” while the smartphone app learns over time how an individual responds to sleep deprivation and caffeine, Reifman said. Currently, the publicly available version of 2B-Alert doesn’t tell people when and how much caffeine to take to achieve peak performance. This aspect of the work is still being validated in studies on U.S. soldiers. Ultimately, although the work is being developed for the military, Reifman hopes it can also benefit the lay public, including shift workers, air traffic controllers and even students cramming for a test. “We all suffer from sleep deprivation” from time to time, Reifman said. The study was published May 28 in the Journal of Sleep Research. The effectiveness of caffeine depends not just on how much you consume, but when you consume it — for a sleep-deprived person, a single cup of coffee in the morning may not prevent drowsiness later in the day. Previously, the researchers developed a mathematical model, called the unified model of performance (UMP), which could predict the effects of sleep loss and caffeine consumption on a person’s performance. But this model didn’t tell people exactly when and how much caffeine they needed to take to achieve their peak performance. To address this issue, the researchers combined the UMP with an “optimization algorithm.” The new algorithm used a person’s sleep schedule as the input and provided a “caffeine-dosing strategy” (when and how much caffeine to take) as the output. The researchers then tested their algorithm using data from previous studies on the effectiveness of caffeine on people who were sleep-deprived. In these earlier studies, people were deprived of sleep for certain amounts of time and given specific doses of caffeine. Then, the researchers measured how well the caffeine improved their performance on a simple task that measured attention and reaction time. 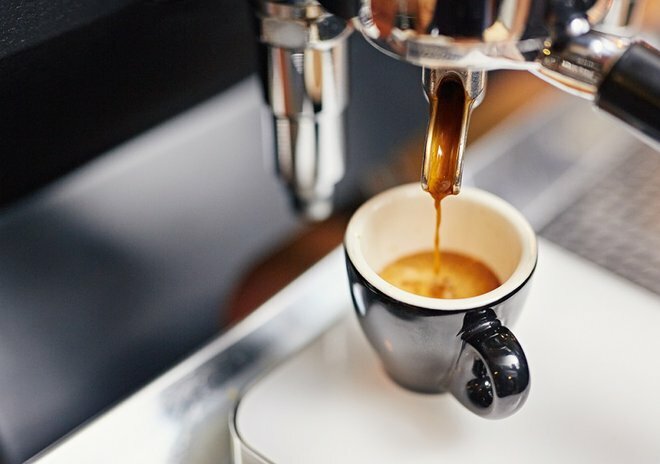 In the new study, the researchers ran computer simulations to examine people’s performance using the caffeine dosing strategies in the original studies, as well as the dosing strategies determined by the new algorithm. They found that the dosing strategies from the new algorithm could improve people’s performance by 16 to 64 percent and reduce total caffeine consumption by 17 to 65 percent, compared with the earlier studies. How was this possible? For example, in one study, participants consumed 400 milligrams of caffeine at the same time each day, for five days, for a total of 2,000 mg. But because the participants were sleep-deprived — getting just 5 hours of sleep a night — they gradually accumulated a “sleep debt” that hurt their performance, particularly later in the day. So the optimization algorithm determined that participants needed more caffeine later in the week (particularly later in the day) — and less caffeine at the beginning of the week — to optimize their performance. While the current study was retrospective (meaning it used previous data), the researchers are planning another study that will test the algorithm in real time. In this future study, soldiers will be deprived of sleep for a certain amount of time. About halfway through this period, the algorithm will determine how much caffeine each solider needs, and at what time, so that they achieve at least a certain level of alertness, Reifman said. Reifman said the optimization algorithm should be available on the 2B-Alert platform sometime before the end of the year.